Beaches, beautiful people and nightlife. That is immediately what comes to mind when I think of Barcelona. 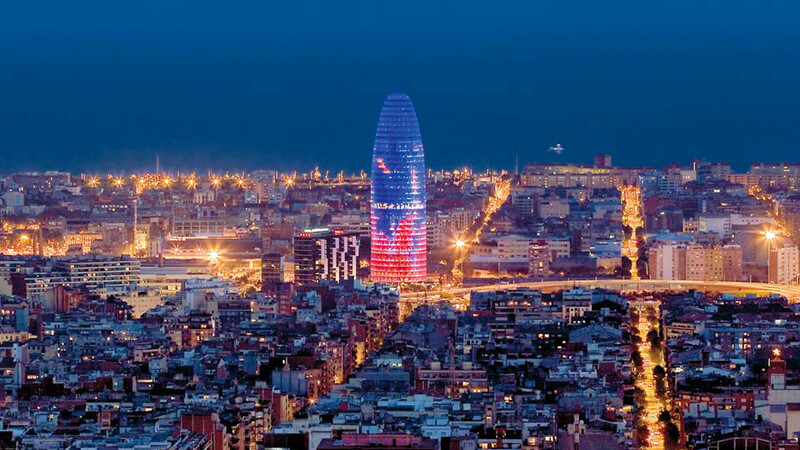 Rivaling Berlin as the party capitol of Europe, Barcelona has the benefit of better weather and a seaside location – two cards it plays like trumps in the game of attracting tourists. That said, there’s more to life to partying, there’s also shopping and style, a thing that Barcelona offers in spades. The newest member of the hetero-friendly Axel Hotel group, the TWO Hotel by Axel is ideally located in the club-filled Gaixample neighborhood, an area perfumed by the heady scent of non-stop nightlife. But despite its lively environs the TWO is a more subdued affair. While an intimate bar greets guests at check-in, fully soundproofed rooms bathed in natural light and neighborhood views provide a relaxing and welcoming vibe. Unlike the neighboring Axel Hotel, the TWO hotel does not have a rooftop bar scene (though it does have a rooftop pool) and it is certainly not what you might call particularly clubby. That said, guests of the TWO have full access to all of the facilities at the neighboring Axel, including the gym, which is just about a 10-minute walk away. Offering a new dimension to the Axel Hotel experience in Barcelona, the TWO is certainly an excellent option for those who thrive on the pulse of the city and yet still enjoy a comfortable night’s sleep. Also located in the Gaixample, the Axel Hotel Barcelona is actually one of the neighborhood hotspots in addition to being a pragmatically stylish boutique property with 105 rooms. The hotel’s rooftop Sky Bar is regularly hopping, particularly when the weather is at its finest and there are frequently a slew of events on tap at the hotel making it an excellent for those who don’t like the party to be far from where they lay their heads at night. Tip: For a special treat, book one of the Axel’s four suites which boast a private terrace and solarium. Contemporary and modern, the sleek twenty-nine floors of the Meliá Barcelona Sky hotel soar above the city’s hip Poblenou district. Anything but cookie-cutter, this hotel designed by French architect Dominique Perrault was clearly built to impress and it does not fail on that score. Elegantly appointed rooms combining seaside chic with urban flair are outfitted with all manner of amenities including all the ones you might expect along with extras like adjustable lighting, electric curtains, bold red writing desks and Aveda bathroom products. Complementing each room is a view of either Barcelona, the beach, which is just a short 10-minute walk away, or the pool. Finally, the popular ‘see-and-be-seen’ terrace at the property’s acclaimed Dos Cielos restaurant on the 24th floor offers downright dreamy views of both the city and some of its most well turned out residents and guests. In Barcelona, it’s not difficult to stumble onto a party because the city literally never seems to stop partying. One popular area sure to offer something for all tastes is the Eixample neighborhood which is a hotbed of activity most of the time but especially so on weekends and holidays. Start out late for tapas at one of the many local restaurants and then bar hop through the Eixample’s gaggle of clubs and bars until you find the one that best suits your own unique kind of boogie. A big, dark gay club popular with a youthful crowd. One of five arena clubs in the area. The name means “fit to be tied”. Not sure of the origin of that name, but those who like this little place and its live entertainment seem to love it. Not a bad place to stop in for a cocktail and a dose of local color. Quite the chill place for a drink or a quick nosh before a night out. La Gavina is an enchanting restaurant tucked away in the Palau del Mar building at the foot of the Mediterranean Sea. A large restaurant with over two decades of history, this eatery has become something of a staple for tourists descending upon Barcelona from mega-cruise ships but it’s worth a stop even if for those who aren’t disembarking from a cruise. Tip: Do request a table on the terrace (weather permitting of course) and do sample the seafood which is without question the star of the menu along with the various paellas. Barcelona is a city known for its beaches. That’s no secret. Almost nowhere else in the world will you find more glorious beaches packed with more acres of perfectly toned and tan bodies…day and night. By day the beaches are filled with sun seekers and social animals and by night they become an open air club where the pretty party people converge to twirl the night away. Regular hotspots of all varieties can be found along San Sebastià and Barceloneta, two beaches located directly next to one another which are both busy day and night. Meanwhile during the summer months Mar Bella beach is an extraordinarily popular destination, famous for its nudist beach, late night parties and the legendary gay beach bar El Chiringuito de la Mar Bella. Tip: If you happen to be visiting Barcelona during the summer months and find yourself angling for a big night out, inquiring about the happenings at Mar Bella beach would probably make for an excellent starting point. In my world, no holiday is complete without a little (or a lot of) shopping and La Roca Village, located just about 30 minutes from the beaches of Barcelona is a destination unto itself for doing just that. One of the collection of nine Chic Outlet Shopping Villages operated by Value Retail across Europe, the brand offerings at La Roca Village commingle upscale global brands like Polo Ralph Lauren, Gucci, Moncler, Escada and Jimmy Choo with a selection of luxe Spanish-born brands like Loewe, Adolfo Dominguez, El Ganso and Lottussee and absolutely nothing lesser. 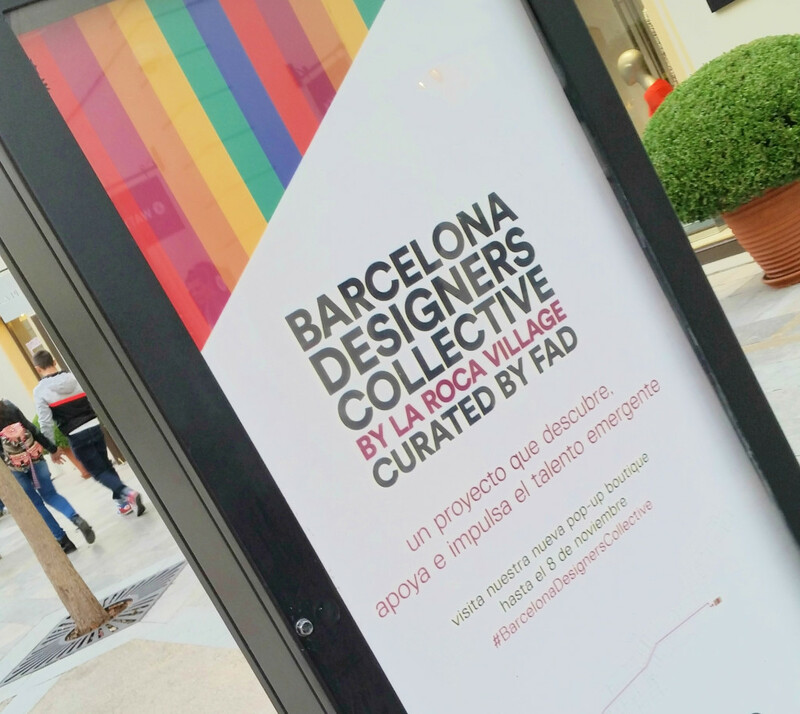 The quaint village of shops even includes among its offerings a pop-up boutique called Barcelona Designers Collective which showcases up and coming designers from across design disciplines ranging from fashion, graphic design and illustration to product design, crafts and contemporary jewelry. It’s the perfect stop for those who want to pick up a little something uniquely Barcelona. Finally, as if all of the aforementioned was not enough of a draw, adding to the experience of this swank shopping outpost are a range of guest services designed to complement guests’ experience of the village. Don’t want to be saddled with your purchases while you shop? La Roca Village offers a “Hands-Free” service that so while you shop unencumbered, your purchases are collected and stored at reception for pick up when you leave. Need a ride? La Roca Village can arrange a car and driver from the city for you and you friends. Feel the need to rest in solitude or refresh during your shopping excursion? There’s a VIP room for that. Bottom line: Your average outlet shopping experience this is not. This is outlet shopping on a whole different level.